Our mission is to produce fresh local organic seasonally and sustainable grown food while providing education in ecological farming and sustainable living for the community. 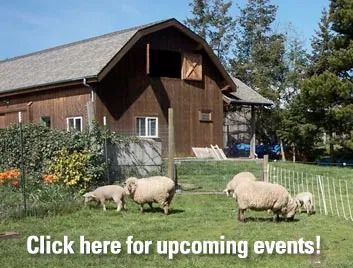 S&S Homestead Farm is a small family farm on Lopez Island, Washington where we raise our own food, and food for others, in accordance with biodynamic processes. Our farm is a place where plants and animals and people sustain each other. The farm’s closed system maintains a healthy environment and uses minimal resources from outside the farm. We believe that: • Everyone should be able to eat healthy foods produced on local farms • Our environment can be strengthened by sound agricultural practices • People should be aware of how and where the food they put into their bodies is raised • Young people should learn to produce food and live sustainably Through the S&S Center for Sustainable Agriculture, the Farm serves as a classroom, training ground and resource for educational programs, research, and public events for K-12 and college students, the local community, farmers and educators. The Farm also provides the community with a source of naturally grown meat and produce.